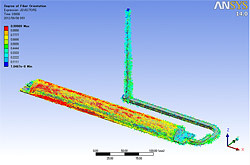 Analyzes the thermal flow behavior of the molten plastic from the beginning of the filling process to the mold release. 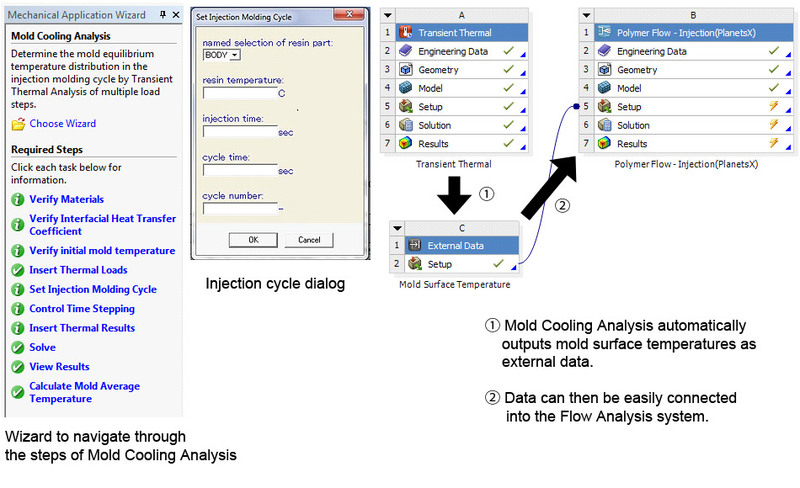 Evaluation can be made from the analysis results for moldability shown below. 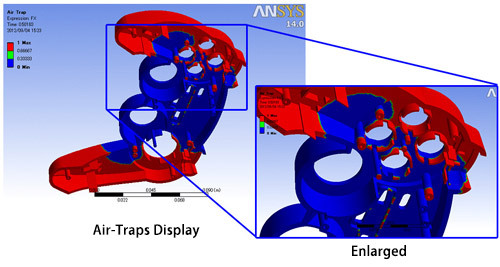 Coordination with ANSYS Workbench static structural solver provides; Stress Relaxation (nonlinear warp) Analysis, Warp Analysis (considering contact of the mold), and Mold Structural Deformation Analysis. 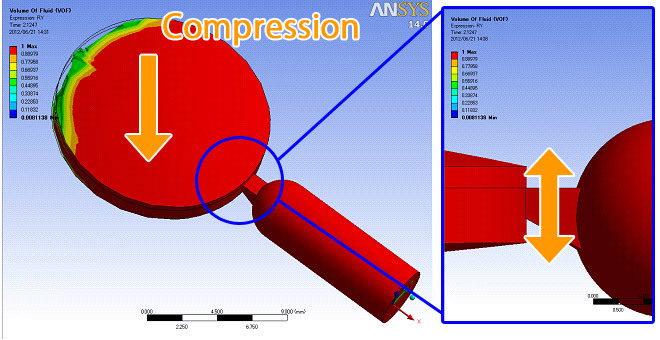 Warp Analysis based on initial strain or temperature load allows consideration of the use of various resins. 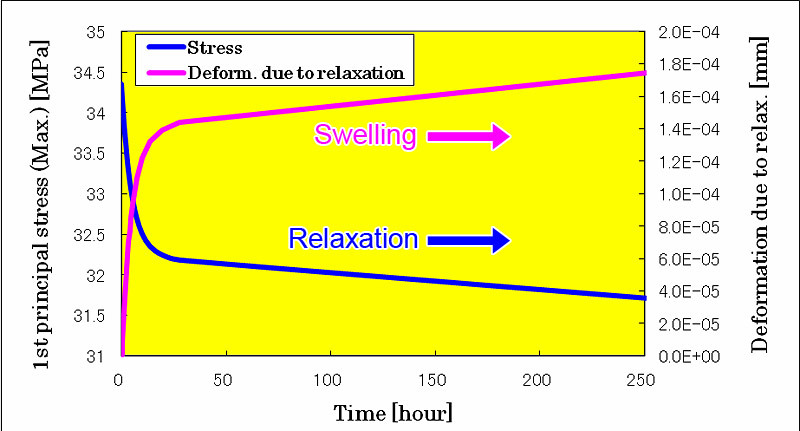 Warp Analysis results also allow evaluation of deformation and stress during the use stage. Consideration of all of these results in better product and mold design. Coordination with ANSYS Workbench static structural solver provides; Stress Relaxation (nonlinear warp) Analysis, Warp Analysis (considering contact of the mold), and Mold Structural Deformation Analysis. 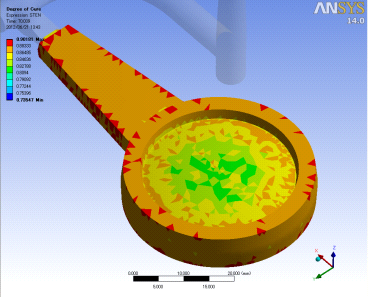 Mold Cooling Analysis based on ANSYS Workbench Transient Thermal Analysis solver provides an accurate prediction of mold average temperature distribution of molding cycle prior to the injection molding simulation. 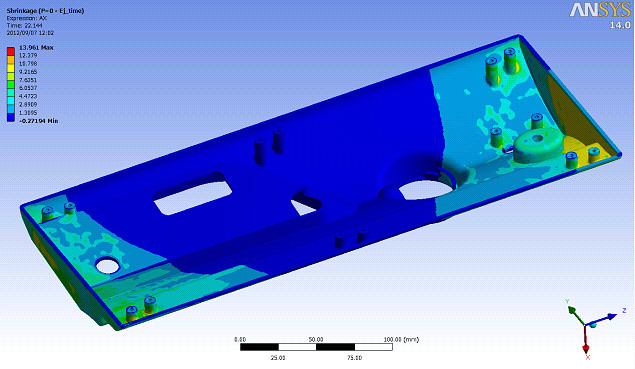 This result can be used as mold surface temperature for injection molding simulation. Inputting various conditions; (1) material and shape of mold, (2) temperature and arrangement of cooling pipes and (3) temperature and injection time of resin allows detailed analysis of temperature distribution of mold surface. 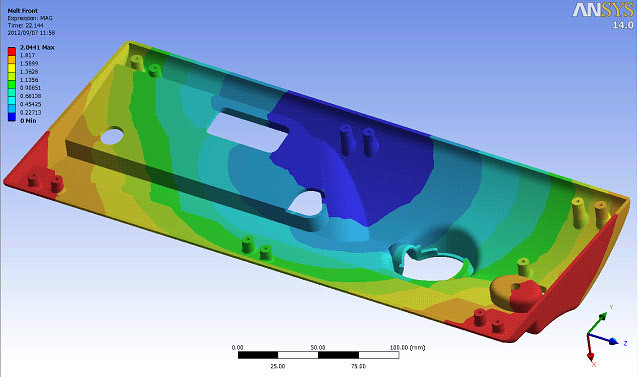 Temperature distribution results can be used to set parameters for Polymer Flow-Injection Analysis which allows evaluation of the effect of mold temperatures on the mold product. 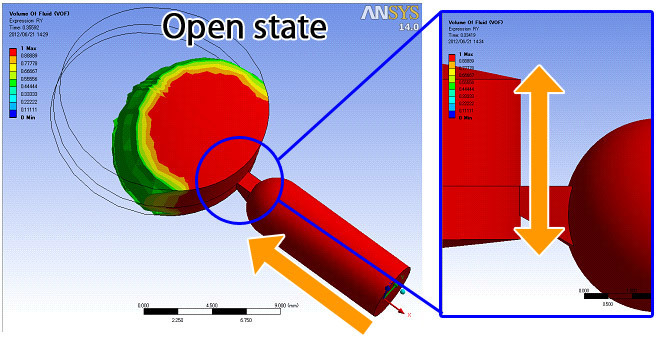 Mold Cooling Analysis of PlanetsX is based on Transient Thermal Analysis of ANSYS Workbench.PlanetsX provides the dedicated wizard feature for Mold Cooling Analysis which makes ANSYS Workbench features easier to use when conducting Mold Cooling Analysis. In fiber reinforced products, fiber orientation direction and rate are predicted by calculating the orientation behavior of the reinforcing fibers due to the heat flow phenomena of the filling process. Changes in the linear expansion coefficient and Young’s modulus due to fiber orientation are also reflected in Warp Analysis. 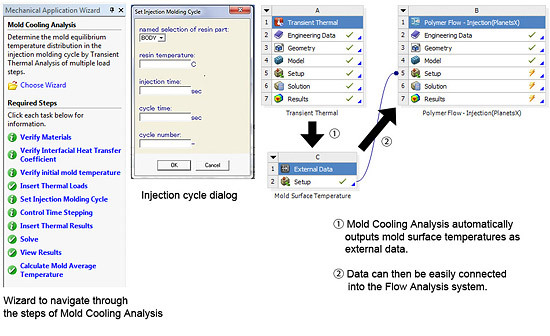 This optional system analyzes the curing reaction of a thermosetting resin in all phases of the injection molding process including; filling, holding-pressure and cooling. 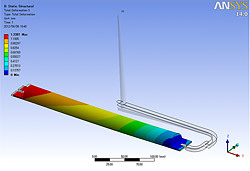 The generation of heat, the increase in viscosity and the hardening shrinkage due to curing reaction are also involved to produce an accurate prediction of plastic thermal flow. In general, Injection Compression/Press Molding allows the use of much lower injection pressure compared to Injection Molding. 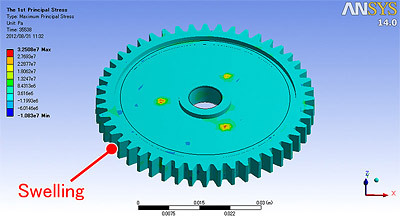 Analyze processes of Injection Compression/Press Molding such as filling or compressing by moving mold. This allows for better prediction of injection pressure and resin selection resulting in improved moldability. Weld angle shows collision of resin flow. It weakens the rigidity of the resin in general, these results can used to counteract molding defects. 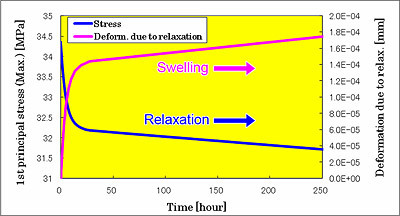 Displays the auto-detect of location of air entrainment occurring during resin flow. 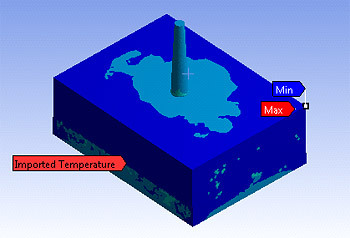 Also while considering separation and fusion, calculate the pressure and volume of air trapped. 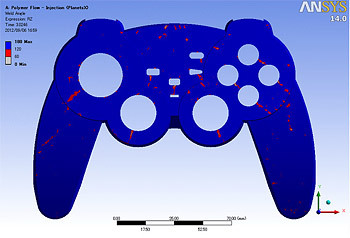 These results can used to counteract molding defects. Excluding bubbles generated from the internal voids or resin vacuum that cause the sink. 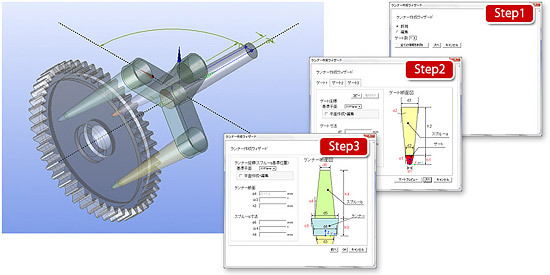 Minimizes operations in creating runner configuration for product model. Allows flexible location and size of each gate. Modifications can be made easily using auto-parameterization. 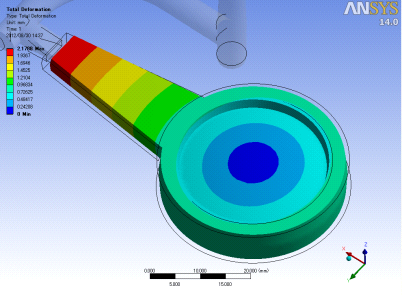 Wizard feature provides three easy steps to create the shapes of a runner model.